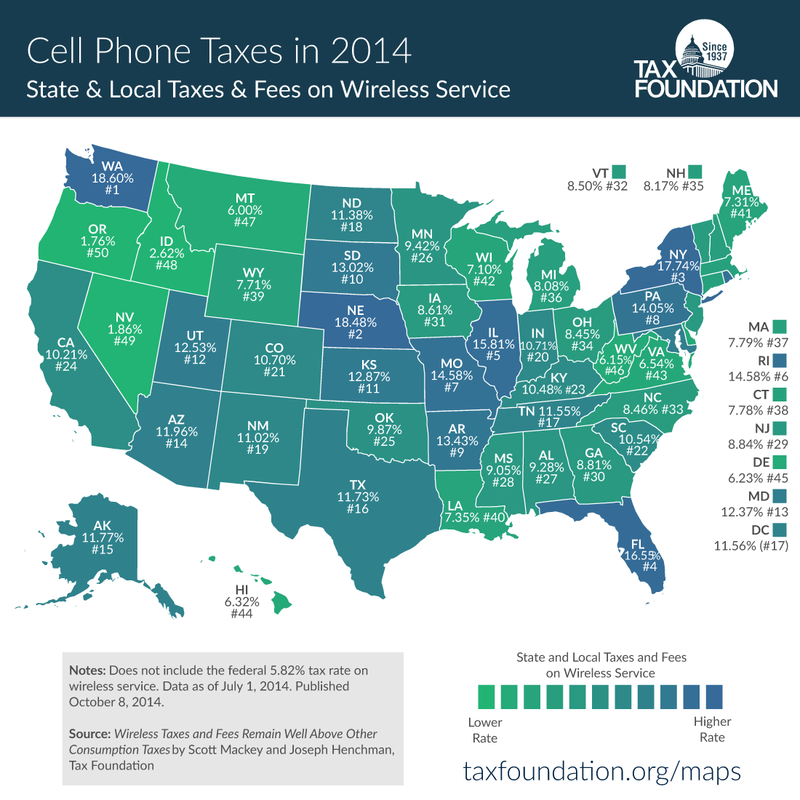 Today’s tax map comes from a new study we released this morning that details wireless service tax and fee rates in the U.S. On average U.S. wireless consumers pay an average of 17.05 percent in combined federal, state, and local taxes and fees on their cell phone bills. This rate is comprised of a 5.82 percent federal rate and an average 11.23 percent state-local rate. Four cities—Chicago, Baltimore, Omaha, and New York City—have effective tax rates in excess of 25 percent of the customer bill. In fact, cell phone users in Chicago and Baltimore with multiple lines on their plan actually pay an effective rate of more than 30 percent of their total bill! It is also interesting to note Washington, Nebraska, and New York have rates nearly ten times that of Oregon, and that Washington actually borders the states with the first and second lowest rates.